8 Essential Condiments For Your Vegan Kitchen! There’s a common misconception when it comes to vegan food. Many say it’s bland, unappealing, and just lacking taste in general. While tofu is certainly lacking in flavor (though it also soaks up practically anything you add to it), this misconception persists mostly because the majority of people are used to eating foods that are very sweet and salty, as well as highly processed. Also, while it is true that us green monsters are used to appreciating the beautifully complex flavors of fruits and veggies, we are also aware of the various condiments that can spice up our food, and make an average veggie dish into a work of culinary mastery. Ketchup and mustard are just fine in their own right, but one of the great things about a plant-based diet is that it forces you to experiment with different spices, seasonings, and dressings to add to a bland block of tofu. Once people finally give up animal products, there really is no strangely named sauce or spread with an odd appearance that can deter further exploration into the wide world of plant-based food. So read on, curious Green Monsters of the 21st century! This article will focus on a few essential condiments that will be sure to give your food a nice swift kick of flavor. Also known as “rooster sauce”, this delicious hot sauce was named after the coastal city of Si Racha, located in Eastern Thailand. It is a paste made of chili peppers, distilled vinegar, garlic, sugar, and salt. The American version boasts a heat rating of around 2,000 scoville units, less than that of half that of jalapeño peppers. The peppers it is made from contain capsaicin, which helps boost metabolism. They are also said to boost your endorphins, which help you feel happier and promote mood-enhancing serotonin. Use sriracha in small amounts when having it for the first time, as this stuff is HOT! What’s even better is that we have an amazing recipe for you to make your own batch of Sriracha in the comfort of your own home! One of various forms of nut butters, almond butter is high in monounsaturated fats, calcium, iron, manganese, and potassium. It is also a good source of riboflavin, phosphorus, and copper, and an excellent source of vitamin E, magnesium, and fiber. It is also helps provide dietary protein. Almond butter is an alternative to peanut butter for those with peanut allergies, and it contains half the saturated fat, although a slightly higher total fat content. It may be made using either raw or roasted almonds, and can be made crunchy or smooth. Recommendations suggest refrigerating almond butter after opening, to prevent spoilage and oil separation. You can also make walnut butter,pecan butter, cashew butter, peanut butter, coconut butter and more right in your kitchen! Here is an easy recipe to make almond butter at home! Click to learn more about the various forms of Thai curry paste, and check out the recipe for veganized red curry! Often considered a staple in any vegan kitchen, hummus is a Middle Eastern and Arabic food dip or spread, made from cooked and crushed chickpeas and blended with lemon juice, olive oil, tahini, garlic, and salt. Hummus comes in myriad different flavors, so and there’s tons of room for experimentation when making your own. Hummus itself is high in protein and Vitamin C, and an excellent source of Vitamin B6, while the chickpeas are high in dietary fiber. It is often used as an alternative to fatty dips for pita chips, or for celery and/or carrot sticks. Check out 10 great ways you can use hummus for your next outing, and a recipe for a spicy sriracha hummus to boot! Common found in Asian cuisine, but also widely seen in Western, Thai, and Malaysian cuisine, sweet chili sauce is a hugely versatile condiment that can be used as a sandwich spread, a dip for spring and fresh rolls, and also in stir fries. It contains red chilies, vinegar, and a bit of sugar, though some variations can also use garlic, lime, or other ingredients. Sweet chili sauce is said to be good for metabolism, and can act as anti-inflammatory agents and help fight pain. Here is simple recipe for a homemade version! Tamari is a form of soy sauce that is darker in appearance and richer in flavor. It contains little to no wheat, and the wheat-free form can be used by people with a gluten intolerance. It is also low in sodium, allowing for a reduction in sodium intake of nearly 30% without having to compromise flavor. Finally, it works well as a dressing, dip, and even cooking oil. Want to learn more about this delicious seasoning? Check out our article on it! Miso is a traditional Japanese seasoning that is most typically made with soy and is most commonly found in the form of a thick paste, not unlike peanut butter. Soy miso is a very good source of manganese, zinc, copper, and phosphorus as well as a good source of protein and dietary fiber. In addition, it is an important source of phytonutrient antixodiants, including phenolic acids such as ferulic, coumaric, and kojic acid. Click to learn more about the different forms of miso, and check out some recipes using it! 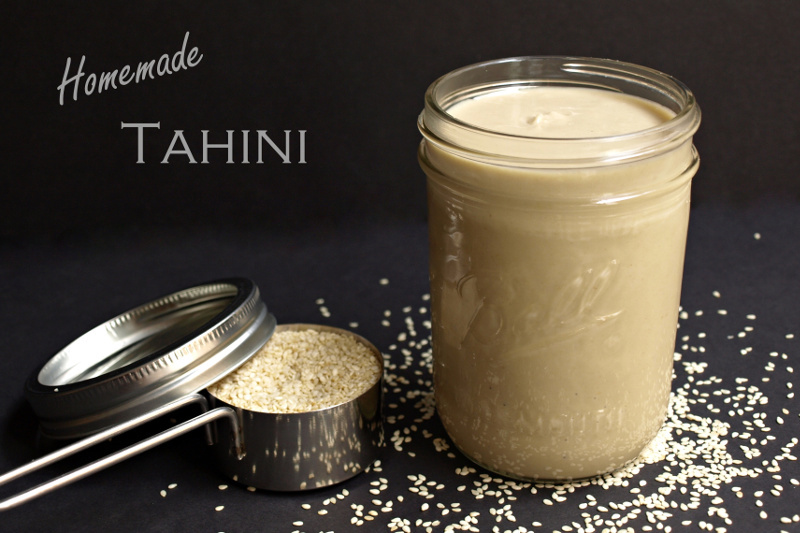 Tahini (sesame seed paste) is full of wholesome nutrition. Sesame seeds contain important B Vitamins…B1, B2, B3, B5, as well as a great supply of calcium. They also have beneficial trace elements like copper, magnesium, iron, phosphorus and manganese. Sesame seeds contain both omega 3 & 6 that improve the health of the brain. I’m learning to use tahini in all different kinds of ways. You can use it in salad dressings, dips, hummus, soups, cookies, or just eat it plain spread on toast. It pairs well with different flavors like lemon, miso, cumin, parsley, cilantro, garlic, etc. So very good and so very good for you! Try it in this yummy Falafel Taco recipe. Here is a simple recipe for a homemade version! That about does it! No longer shall your vegan dishes be bland or lacking in flavor. As always, feel free to experiment, and may your meals be delicious and nutritious!